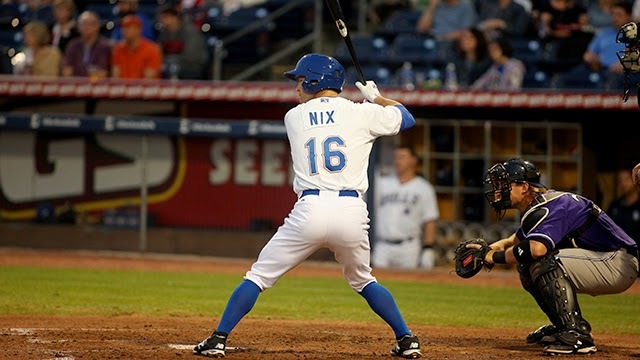 Durham Bulls infielder Jayson Nix turned out to be the odd man out of the David Price trade. We speculated yesterday on who that might be and, as usual, got it wrong. Mr. Nix has been an asset to the Bulls this year, playing just about every position in the field, but mostly second base. In 54 games the 33 year old had 25 RBI and a decent slash line of .275/.343/.413. His July numbers were particularly strong, so we can hope that he can catch on with another team. He was a help to the Bulls and we liked watching him play the game.